Hi and welcome to #PickNMix blog linky. I’m so glad January is almost over, I’m craving some sun and very jealous of James who is off to Florida for work today. My favourite post from last week was The thing all parents talk about by Naptime Natter. Go and have a read if you haven’t already and you will see why I though it was funny! Please comment on one of both the hosts posts, the one post before your own and as many others as you have the time for. 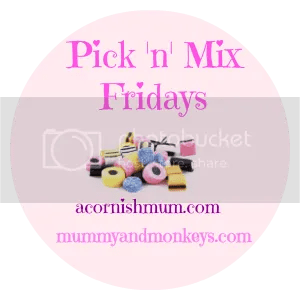 When you comment if you include #PicknMix then they will know that you have a post or posts linked up yourself and are more likely to return the favour. "Bluestone – A fantastic Family Friendly UK Holiday"
"BLW and toddler allergy friendly meal ideas"
Thanks for hosting. I look forward to reading all the different posts.